Resources - Law Offices of Brett J. Trout, P.C. Information regarding intellectual property, e-commerce, and legal issues surrounding the internet. Learn about the impact of internet law as it pertains to your company, in Brett Trout's recently released book. What company does not use the Internet to do business? Unfortunately, out of the millions of companies online, only a handful understands the hundreds of Internet laws that can bring their thriving business to a screeching halt. Whether it is a security issue or a problem with a website developer, Internet Laws Affecting Your Company gives you the tools to keep your business on firm legal footing and out of the courtroom. From email to intellectual property, Internet Laws Affecting Your Company guides you and your company seamlessly through the expanding maze of Internet law and regulation. Each chapter highlights a specific legal issue using a simple, easy to read approach. Chapters highlight common problems facing your company, and provide quick and simple solutions to keep you out of harm's way. 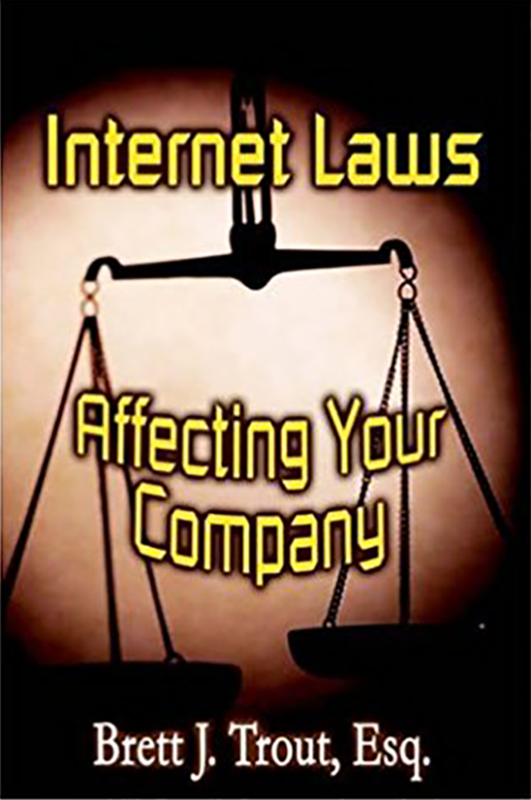 Written in clear, easy to understand language, Internet Laws Affecting Your Company serves as a handy desk reference on how various laws impact your everyday business activities on the Internet. In many cases, a quick glance at this invaluable reference will prevent your company from becoming another one of the thousands of Internet casualties. Cyber Law is a comprehensive guide for navigating all legal aspects of the Internet. This book is a crucial asset for online businesses and entrepreneurs. "Whether you're doing business online as a company or a consumer, you need to understand your rights. 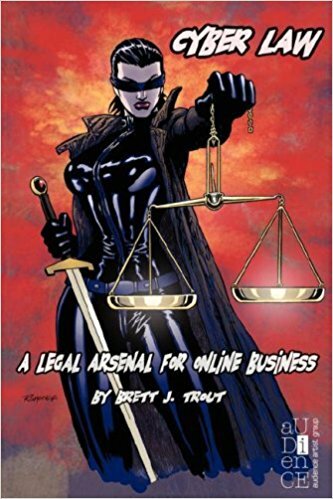 Trout successfully places legal complexities into digital perspective with his latest book."